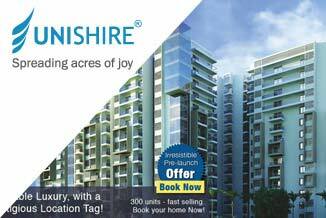 Unishire Group of Companies is a well established real estate and property development company specialising in mid segment and high-end apartments in Bangalore. Unishire engaged LUMOS for the digital marketing efforts with focus on lead generation adopting the Search Engine Marketing (online advertising) approach. 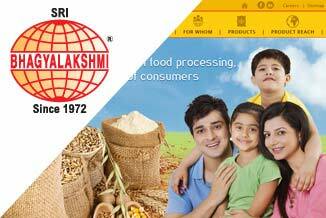 Sri Bhagyalakshmi Foods is a fourth generation Food industry specialising in the processing and supply of a large variety of cereals, flour and pulses. SBL Foods engaged LUMOS for digital marketing efforts, with focus on generating quality traffic to the website adopting Search Engine Optimisation(SEO) approach to start with. 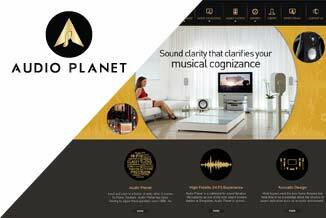 Audio Planet is a renowned Audio Consultancy company in Bangalore, and is an authorized provider of the world’s best brands with expertise in Audio Consulting and Acoustic Design. Audio Planet engaged LUMOS to create an effective online presence through the digital marketing efforts adopting a three-pronged approach - Search Engine Optimisation - SEO, Search Engine Marketing - SEM and Social Media Marketing - SMM. iRethink is a start up venture focussing on Mobile Apps and web applications. 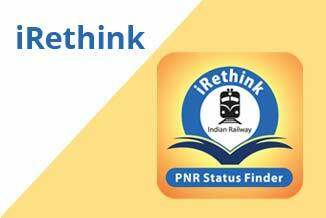 iRethink engaged LUMOS to design and develop the User Experience (Ux) for three mobile applications, including an App for education, an App for PNR status enquiry for Indian Railways, and an App for Train info Guide, on the android and iOS platform. 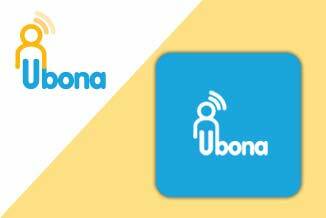 Ubona is a well established intelligent technology company for telecom services, products and services of which are used by millions of people. Ubona engaged LUMOS to design and develop the User Experience for their mobile phone Music App on the android and iOS platform. 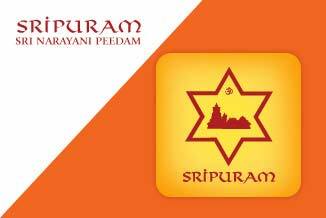 Sripuram, Sri Narayani Peedam is the largest golden temple in the world, and a spiritual oasis in Vellore, Tamilnadu, India, visited by millions of people from the world over. 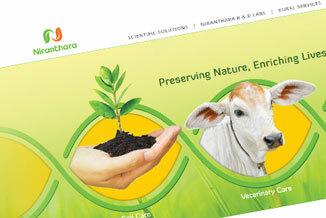 Niranthara Scientific Solutions is an emerging enterprise specialising in R & D, renowned fordevelopment of unique, natural products for Veterinary Care, Soil Care and Human Care. Niranthara engaged LUMOS to build their online presence and also to strategize the digital marketing efforts. 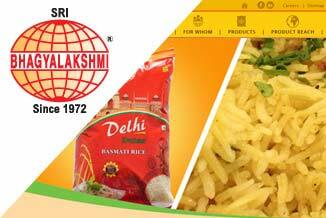 Sri Bhagyalakshmi Foods is a fourth generation Food industry specialising in the processing and supply of a large variety of cereals, flour and pulses. SBL Foods engaged LUMOS to build their online presence and to strategise the digital marketing efforts. LUMOS adopted Microsoft DOTNET platform on MVC to build a custom CMS for SBL Foods website that is easily manageable with MS Word like editor. 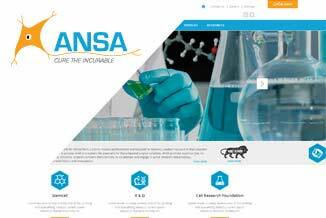 ANSA is an innovative, sophisticated R & D laboratory specialising in advanced stem cellresearch. ANSA engaged LUMOS to revamp their website adopting a CMS to easily update and manage content. LUMOS adopted Microsoft DOTNET platform on MVC to build a custom CMS for ANSA’s website that is easily manageable with MS Word like editor. 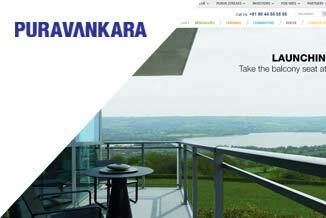 Puravankara is one of the top 5 real estate and property developers with strong presence in south India. Puravankara engaged LUMOS to build an effective online presence for Puravankara. 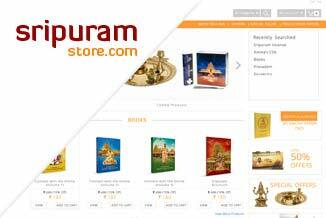 LUMOS developed a completely unique web portal for Puravankara with robust Microsoft DOTNET platform using MVC, a versatile CMS and a slew of modules to empower the sales and marketing teams. 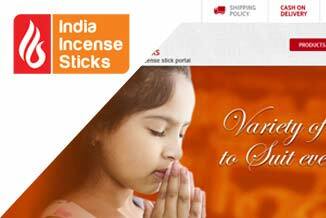 India Incense Sticks is a first-of-its-kind e-commerce web portal for Incense sticks in the world. LUMOS proposed the idea of e-commerce, developed the business model and provided a turnkey solution. LUMOS developed a completely unique web portal for India Incense Sticks with a robust Microsoft DOTNET platform using MVC, deploying a robust, versatile CMS, and a slew of back-end features for effective management. Sripuram is the largest golden temple in the world, and a spiritual oasis in Vellore, Tamilnadu, India, visited by millions of people from the world over. LUMOS proposed the idea of e-commerce, developed the business model and provided a turnkey solution. LUMOS developed a completely unique web portal with a robust Microsoft DOTNET platform using MVC, deploying a versatile CMS, and a slew of back-end. © Lumos 2003 - 2019. A division of Animika Studios Pvt Ltd. All Rights Reserved.